It is thought that the laws of ancient Egypt were at least partially codified. In fact, we learn from one Greek writer that in the Late Period there were probably eight books that set out the legal code. But nothing remains of these documents, or for that matter, legal codes from other periods. 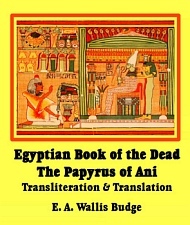 However, we can derive some of the laws of ancient Egypt from funerary texts, as well as court and other documents. Essentially, we believe that Egyptian law was based on a common sense view of right and wrong, following the codes based on the concept of Ma'at. Ma'at represented truth, order, balance and justice in the universe. This concept allowed that everyone, with the exception of slaves, should be viewed as equals under the law, regardless of wealth or social position. However, when punishment was carried out, often the entire family of the guilty suffered as well. For example, when individuals were sentenced to exile, their children were automatically outlawed along with them. If a relative deserted from military service, or defaulted on the labor demands of the state, the entire family might be imprisoned. A gold Ma'at pendant which is currently in the British Museum was probably more or less an official badge of legal officials. Some statues of high officials from the Late Period are shown wearing such a pendant. During the Greek period, Greek law existed alongside that of the Egyptian law, but usually these laws favored the Greeks. When the Romans took control of Egypt, the Roman legal system which existed throughout the Roman empire was imposed in Egypt. However, prior to the Greek period, ultimately it was the king as a living god who was the supreme judge and lawmaker. Of course much of this power was delegated to others. The legal and administrative systems seem not to have been well defined, and so at times anyone in an authoritative position may have made legal judgements. We know that the king's viziers often acted as judges, and theoretically, anyone with a legal problem could bring a case before a vizier, though arranging such an audience with busy, important government officials may have at times been difficult. But more specifically, we believe that the title, Overseer of the Six Great Mansions, refers to our modern equivalent of a magistrate. Mansions probably refers to the main law court in Thebes, though we believe there were other major courts in Egypt. Minor cases were tried by a local council of elders and each town or village had its own local kenet in charge of legal proceedings. Such cases usually involved minor problems, such as default on loans. Still, the most important matters were probably reported to the king who would then decide the case and the proper justice. An interesting variation was that sometimes judgements were made by divine oracles rather than by human officials. For example, in Deir el-Medina the deified founder of the village was often asked to decide cases. While it is impossible to know exactly how this worked, we seems that a document was made for both sides of the case, and put on either side of a street. Whichever side the god's image inclined towards was rendered the winner. 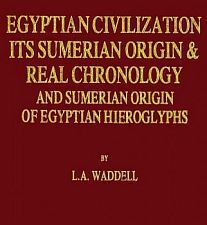 Also, specifically during the 21st Dynasty (1069-945 BC), law was given though the oracle of Amun. Documentation on prior cases were recorded and retained, and like our own modern legal systems, these court documents were used as precedent for current cases. Some of these documents remain, and are some of our best evidence of how the ancient Egyptian legal system functioned. An example of such documentation is the record of the famous trial of the tomb robbers, recorded on the Leopold II - Amherst Papyrus. This document, now in the British Museum, records the robbery of tombs during the reigns of Ramesses IX and Ramesses XI. The thief Amenpanufer confesses before Ramesses IX that "We went to rob tombs in accordance with our regular habit, and found the pyramid tomb of King Sekhemreshedtawdy....". While the papyrus documents the thief's guilt, it does not provide the actual punishment. We also have the Salt Papyrus, which is a petition of the workman Amennakhte denouncing the crimes of the foreman Paneb, another papyrus that documents tomb robbery. Tomb robbery was considered to be one of the most heinous crimes. Of course, there are any number of other documented legal proceedings. From these, we know of the punishment in criminal proceedings. For example, from court documents at Deir el-Medina, we know that punishment for stolen or embezzled goods might be as simple as the return of the goods with a fine of twice their value. Simple corporal punishment could involve a hundred strokes of the cane and in more serious cases, 5 bleeding cuts added, or brands as a sign of permanent dishonor. The Pharaoh himself might very well decide the most important criminal cases, or at other times he might appoint a special commission with full authority to pass judgement. Depending on the severity of the case, being exiled to Nubia or the Western Oasis, or sent to to labor in the distant mines or quarries was not uncommon. Some crimes were punished with mutilation consisting of cutting off a hand, tongue, nose or ears. In extreme cases, capital punishment was inflicted by implement on a stake, burning alive, drowning or decapitation. Because the guilty had violated Ma'at, it was also assumed the individual would suffer failure, poverty, sickness, blindness or deafness, with the final settlement awaiting in the Court of the Dead. It should be noted that, while ancient Egyptian punishment is often seen as barbaric, there was some support of basic human rights. 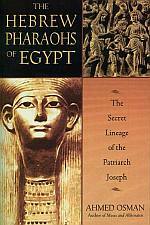 For example the pharaoh Bocchoris suppressed imprisonment for debt. Probably one of the most famous cases is that of the the Eloquent Peasant (the Tale of the Eloquent Peasant), which examines a poor man's search for justice from high officials and the king himself. This particular story was widely told in the Middle Kingdom of Egypt (2055-1650) and illustrates the point that even the problems of common peasants were considered important. Although males dominated the legal system in ancient Egypt, records indicate that females enjoyed considerable rights under the law. Upon an individual's death, property was often divided equally among both male and female children. Woman could own and bequeath property, file lawsuits, be witnesses in court and file for divorce. Children and the poor had considerable legal rights, and even slaves were allowed to own property under certain circumstances. Prior to the 7th century BC most contracts and deeds were oral, but with the advent of the Demotic script, many legal transactions were required to be written, and these documents give us a better picture of legal proceedings. A plaintiff was required to bring suit, and if the case was deemed to have validity, the defendant would be ordered to appear before the court. There were no legal advocates, so both parties would present their own arguments. While witnesses were sometimes called, the judge would usually rule on the grounds of documentary evidence and the testimony of each party. In many respects, the ancient Egyptian laws remain with us today. The Greek lawgiver Solon visited Egypt in the 6th century BC, studied their law and adapted many aspects of it into the legal system of Athens. During Egypt's Greek period, Egyptian law continued to influence the separate Greek legal system. When the Romans took Egypt, their legal system was effected by both the Greeks and Egyptians, and today, we continue to implement a number of aspects of Roman law.